Bluehost is a well-known WordPress officially recommended hosting provider. 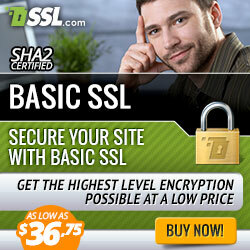 It is number one company which provide the best domain & hosting services. Also, its hosting plans are quite popular among people. Further, it offers to host at an affordable price. You can earn a decent amount of money with Bluehost Affiliate Program. Bluehost Affiliate Program offers a whopping $65 commission for each successful sale of Bluehost hosting. If you have high traffic on your website/blog, you can make lots of money with Bluehost Affiliate Program. 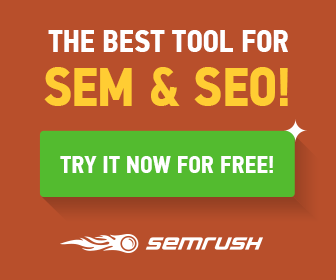 Besides, it offers various banner & text ads to promote Bluehost on your blog. Additionally, it has a dedicated team which is committed to helping you anytime. Moreover, they will provide you your earning reports in real-time. A Dedicated Team to offer free support & advice. Reliable & Effective Tracking of your performance. $65 commission on each successful sale. 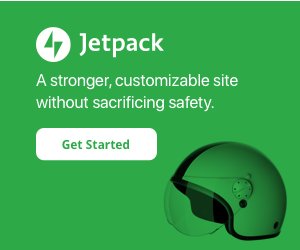 How does Bluehost Affiliate Program work? When you sign-up to Bluehost Affiliate Program, you will get your affiliate link. Also, you will get various banners & text links. For every visitor who clicks through these link and buys Bluehost hosting, you will receive $65 commission. How to Earn Money with Bluehost Affiliate Program? 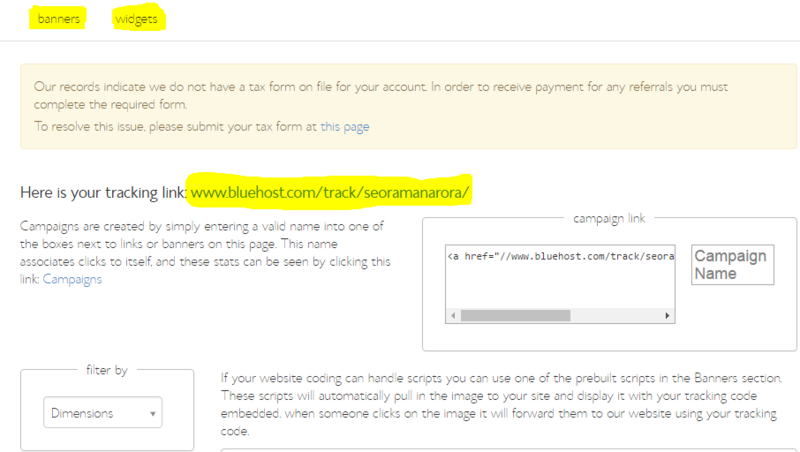 You have to create an account on Bluehost Affiliate Program in order to promote its hosting on your blog. 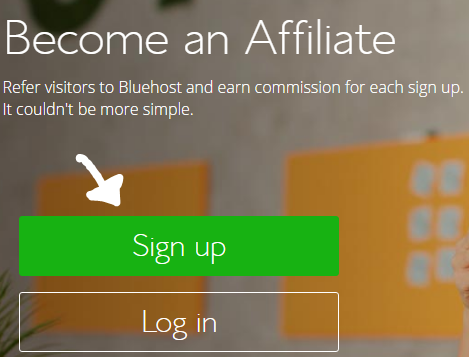 If you don’t know how to join Bluehost Affiliate program, don’t worry. I will provide you step by step guidance to create an account on Bluehost Affiliate Program. 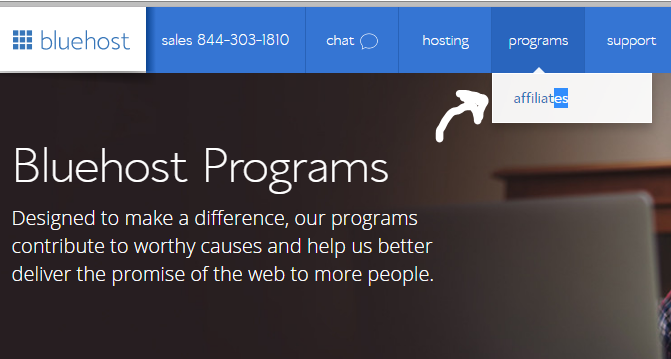 Firstly, Visit the page Bluehost Affiliate Program. And click on affiliates under Program tab. Choose your password & confirm it. Enter you First & Last Name. Enter your company name here. 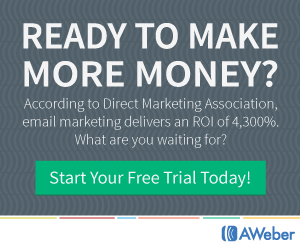 If you are managing an individual site then simply enter N/A. 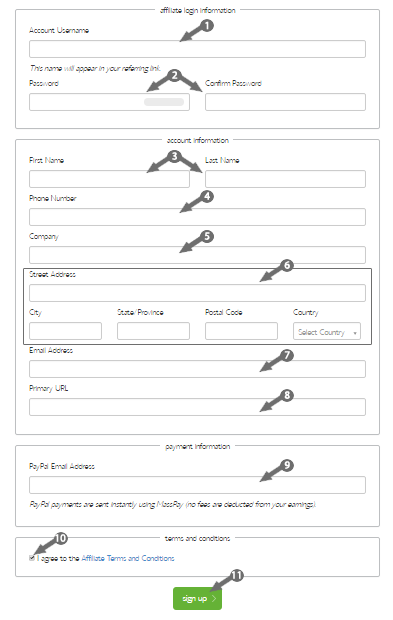 Fill your complete address such as city, state, country & zip code. Next, enter URL address of your blog/website. Then enter your PayPal id to receive payment in your account. Tick mark on “Terms & condition “to agree with them. After Completing Bluehost Affiliate Sign up form, you will be redirected to your Bluehost Affiliate Dashboard. Finally, your account is successfully created. When you log into your account, you will be asked to fill tax form. Then go to setting tab and Click Tax Form. 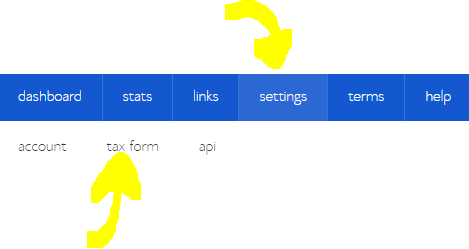 Then you will see a tax form, click No option if you are not US Citizen. After that, fill the tax form and submit it. Once you submitted the tax form, go to links tab. Now you will get your referral link, promote Bluehost with this link. Additionally, you can use various banners or widgets to promote Bluehost. Everything is done! You have successfully joined the Bluehost Affiliate Program. By promoting Bluehost, you can make money with Bluehost Affiliate Program. I have delivered my best information according to my personal experience. I hope this article will help you to become Best Affiliate Marketer and also to Earn Money with Bluehost Affiliate Program. If you have any query, leave us a comment below.